One of the most amazing aspects of our work is being able to observe the physical and spiritual growth of the children and young people that we serve. One of the students in our scholarship program that has most impressed us this year is Magdiel Gómez. 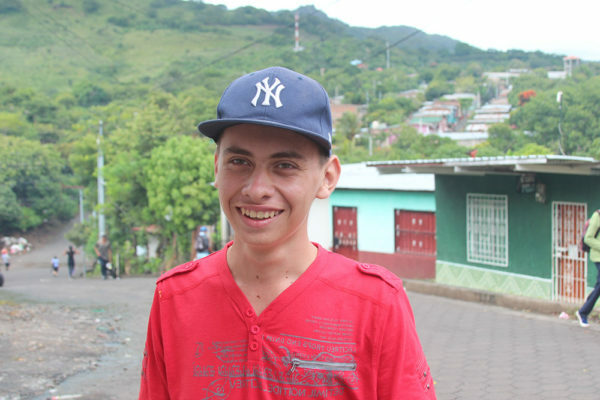 Magdiel is eighteen years old and lives in the Nuevo Amanecer neighborhood. She lives with her mother, who works as a nurse in the local health center. Magdiel’s mother is dedicated to providing her with the best education possible, though her salary is barely enough for their basic needs. 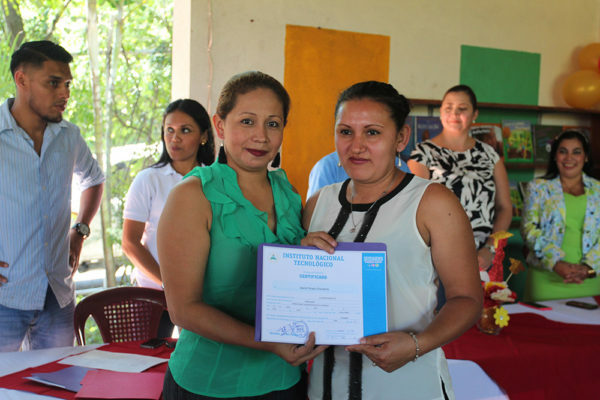 When Magdiel finished high school, her mother didn’t think she’d be able to afford to support her college education, but she was quickly approved for a scholarship in our program. We were very pleased that Magdiel decided to study for a degree in Early Education. She is now finishing her second year and has begun to do her community service hours in our Early and Primary Education Program. She has shown a natural aptitude for teaching and is kind and compassionate with children. In addition to her studies, Magdiel has also been involved in the local Young Life club for several years. She is one of a select group of young people who has been included in a leadership training initiative. She is now helping to lead the Young Life club in her community. We are so proud of Magdiel’s growth and development as teacher and a leader among her peers. In September, we began screening children for dental problems, after reports from our medical team indicated many urgent needs. We began working with a local dentist to perform the screenings at each school, in order to identify the children with the greatest needs. Ashlyn is six years old and lives in the community El Jícaro. She is in first grade at the school in her community and participates actively in our education program. Her mother came to the school on the day of the dental screenings, to ask for our help. Our dentist soon discovered that Ashlyn had severe problems and needed emergency treatment and she was scheduled for the first week in October. The following week, Ashly was treated by our dentist. She had six extractions and six fillings, a very difficult visit for such a young girl. 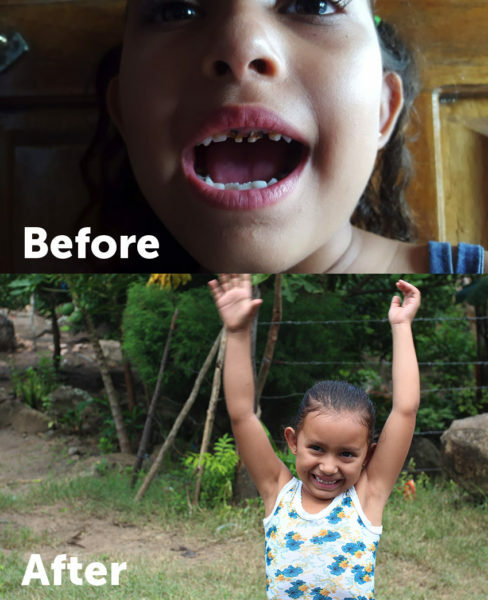 Unfortunately, poor nutrition and oral hygiene are common in Nicaragua, affecting many children. With the economic crisis, it is difficult for Ashlyn’s parents to purchase toothpaste. However, we will be working to promote more public health activities in each school. Despite the pain and discomfort that she experienced, when we ran into Ashlyn a few days later, she was wearing a brand new smile. One of our goals this year was to provide more vocational education opportunities for young people and adults. 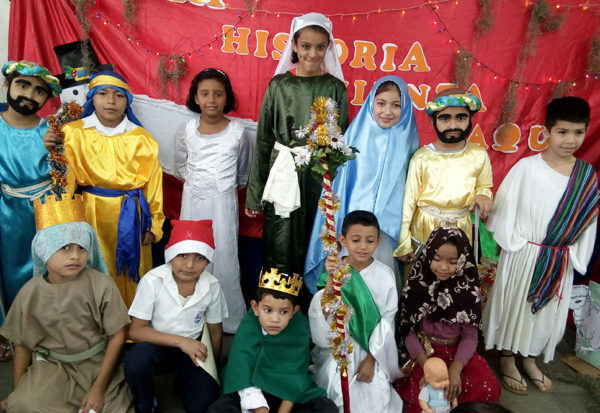 Last year we created an alliance with the National Training Institute, Ministry of Family Economy and Infancia sin Fronteras to offer vocational courses in the neighborhood near our office, where poverty levels are high and employment is scarce. Over the past several months, we have had more than fifty adults enrolled in sewing, cooking, baking and hair styling courses. They have learned valuable skills that will increase their possibilities of finding formal employment or help them to start their own businesses. On October 25th, we held a graduation ceremony for all of the students, many of them single mothers, who worked so hard to complete the courses. It was so amazing to see the satisfaction and expectation on the faces of each graduate. They proudly received their certificates and also displayed their work for the public. 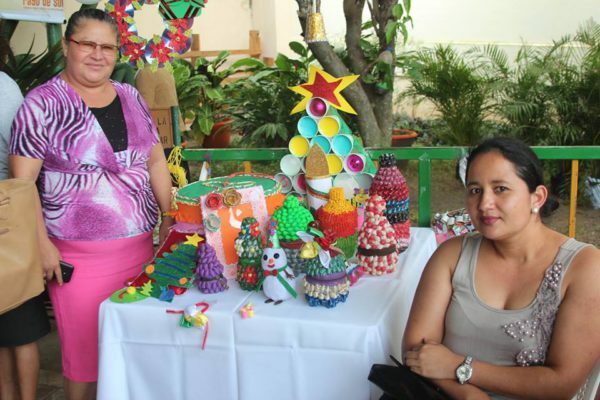 We organized a small fair at the ceremony, where the students exhibited garments, baked goods and typical Nicaraguan dishes. Our next challenge will be the help guide some of the participants in the creation of small businesses. Pedro is 15 years old and is in his third year of high school. He has been in the Rayo de Sol scholarship program for three years. Because of his family’s economic situation, Pedro has to work every day, selling tortillas. Since he studies in the afternoon, he spends every morning on his bicycle, selling tortillas in surrounding neighborhoods. Because he had little time left over for his schoolwork, Pedro was in danger of failing several classes. When our staff noticed how poorly he was doing in school, they helped him to find a better way to manage his time. They set up a study schedule with him and agreed to tutor him in the classes in which he had most difficulty. In our office, we have a small library of books for high school students, which Pedro quickly put to use. Pedro now comes to our office for an hour every day, after selling his tortillas and before going to school. He has developed trusting relationships with our staff, which has enabled him to ask for help when he needs it. 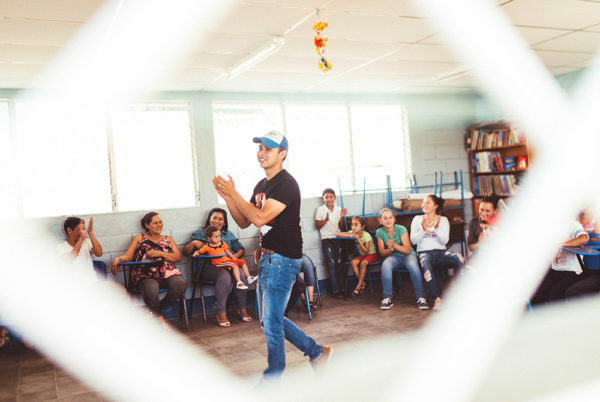 Pedro knows that education is the key to creating a better future for himself and his family. He has learned that perseverance is the secret to his success in school and in life. This entry was posted in Blog on September 28, 2018 by Scott Finlayson. 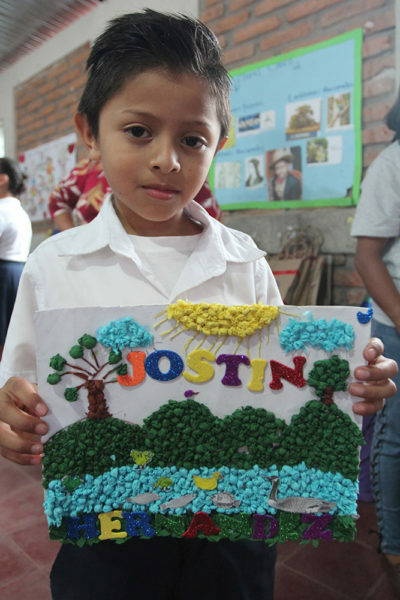 Julieth is nine years old and is in the third grade at the 15 de Septiembre school in Matagalpa. She lives with her grandparents because both her mother and father had to migrate to Costa Rica to look for work. The economic situation in Nicaragua has worsened with the political crisis and many adults simply can’t find enough work to support their families. Because of her unstable family situation, Julieth had behavioral problems at school and great difficulty learning to read. Last year, she began to participate in our Discipleship program, where our staff could work closely with her and help her both personally and academically. 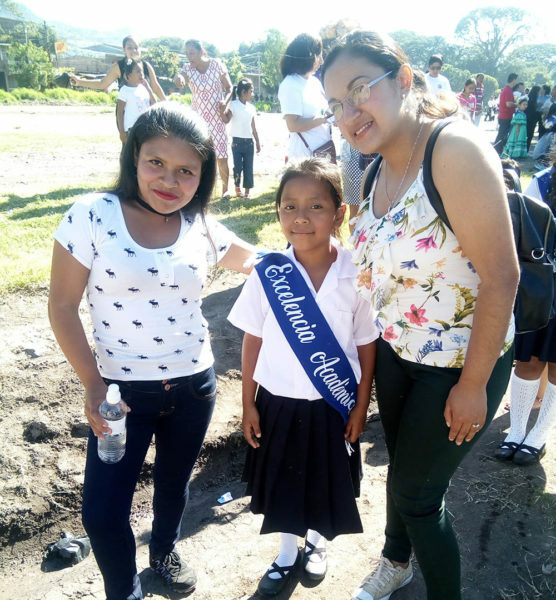 Julieth has shown amazing progress and she was recently selected to represent her classroom in the Independence Day celebrations, because of her academic excellence. Her teacher has marveled at the way her interaction with other students has improved, as well as her reading skills. Julieth has also joined the reading club at her school, organized by Rayo de Sol’s education team. 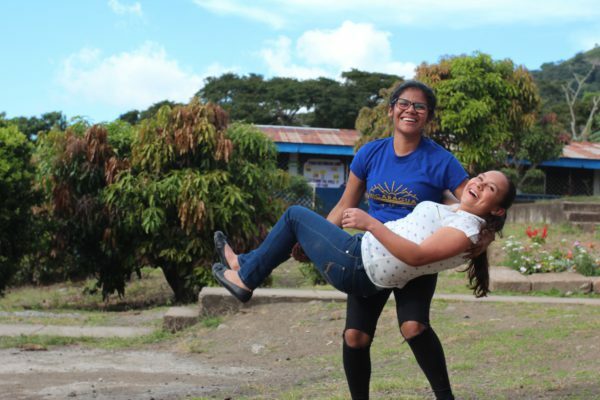 Julieth loves to participate in Discipleship activities because she doesn’t just have fun, she also studies Biblical lessons that can be applied to her own life. We are so proud of Julieth for her determination. We know she is destined to do great things in her life. In April of 2018, protests broke out in Nicaragua that resulted in over 3 months of unrest, widespread destruction of public property, and more than 300 deaths. Thanks to your generosity, we were able to respond to the crisis and provide families with support in the areas of food security, medical attention, water distribution, and income generation. One of our greatest concerns during the crisis was the loss of income for many people. In Matagalpa, many small businesses were forced to close and others had to reduce staff to stay afloat. Many of the people that we work with were affected by the economic downturn. Also, the small farmers that we work with had beans planted, but the local markets have been unpredictable. Pricing and transportation became more complex and many farmers were in jeopardy of losing money on their crops. We decided to work with small farmers to ensure that they earned a fair price for their red bean crops. 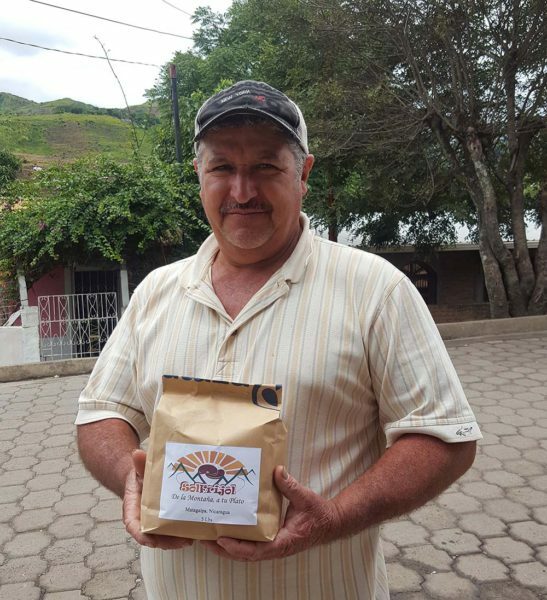 We set up a small business, purchasing beans from small farmers at a fair price (20% above other buyers), packaging the beans and selling them in local markets. In the process, we also generated some temporary employment for two women who helped to weigh, package and label the beans. One of the farmers who was most anxious to work with us on this pilot project was Fabio López. Fabio has been one of the most enthusiastic biointensive farmers in his community and he had a small plot of red beans planted as well. Like most small farmers, he desperately needed cash to cover his family’s expenses, but was concerned that the buyers who were flocking to the community were paying an extremely low price for beans. We offered him the opportunity to work with us and he happily sold us 600 pounds of high quality red beans. We paid him 20% more than what he would have made, which allowed him to better provide for his family. We hope that this pilot project can grow into a more substantial micro-business in the future. This entry was posted in Blog on August 29, 2018 by Scott Finlayson.